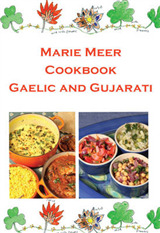 If you love having friends and family round for dinner or simply rustling up fresh, fast food, Mexican cooking is fun, fantastic and full of flavour. 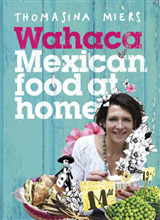 One of its brightest stars, Wahaca chef and food writer Thomasina Miers shares the recipes she has gathered since she first fell in love with the country aged 18, reinventing the classics with accessible ingredients to demonstrate how exciting and delicious traditional Mexican food can be. 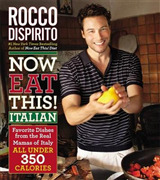 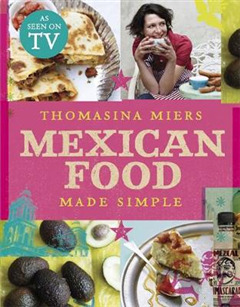 Whether you're looking for street snacks full of punch, rich, hearty stews, or sensational, spicy wraps, Thomasina's Mexican Food Made Simple is bursting with recipes you'll want to eat and share: soft corn tacos and tostados; little cheesy things quesadillas; a great Mexican chille con carne; Grilled Seabass or succulent Lamb Chops with homemade salsas and tortilla chips; and to finish churros with chocolate sauce.The book features vibrant food photography throughout, and step-by-step guides to folding the perfect burrito, eating a taco no knives and forks allowed, making a sizzling table salsa, and much more. 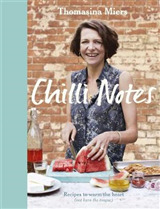 And with Thomasina's guide to the world's hottest chillies, ingenious cheats, and helpful menu planner, Mexican Food Made Simple has everything you need to put together a fantastic Mexican feast at home.